CHIA runs extensive services providing medical care, support for those with disabilities, educational opportunities, along with water, sanitation and housing. This year, they received two superb corporate donations through Global Hand. 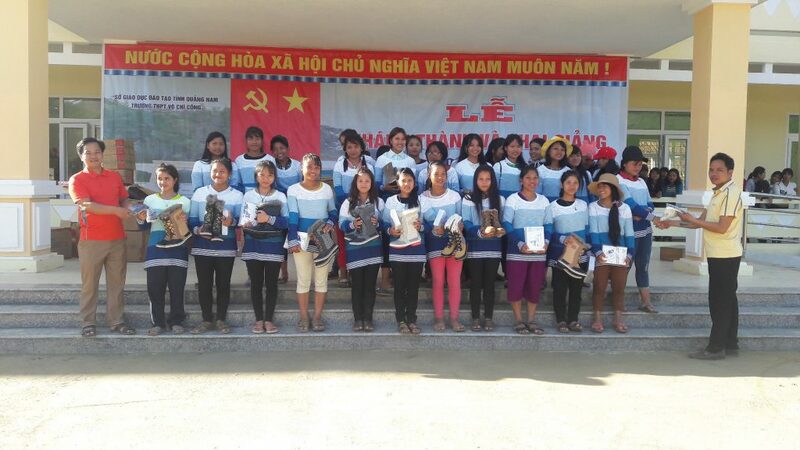 8,000 women’s sweaters which they distributed to people in the mountainous north (see the main photo below), where winter can be cold, and 2,245 pairs of magnificent, household name shoes (anonymity requested by both donors) in the villages too. CHIA, as their name suggests, are people in action.